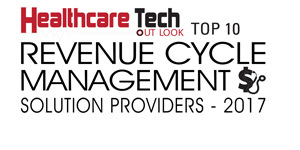 John Evensen, COO & founder and Simon Hughes, CEO & founder, AVEC Health Solutions Rural healthcare in the U.S. has remained tremendously underserved when it comes to revenue cycle management. Increased financial crisis, dynamic regulations, higher uninsured rates, rising costs, smaller reimbursements, and the lack of local human resources hinder the clinical workflow of small healthcare communities today. These drawbacks engender a convoluted revenue cycle management (RCM) ecosystem that multiplies overhead and decreases profitability. With years of experience in healthcare, John Evensen and Simon Hughes identified this problem early on and joined together to found AVEC Health Solutions with the vision of globally empowering healthcare facilities. Supported by a nimble and cost-effective IT infrastructure, the firm’s comprehensive cloud-based solution portfolio assists rural hospitals in maximizing their revenue opportunities as well as improving patient care. AVEC invests a substantial amount of time in researching and understanding the different payer models across different states in the U.S. The firm then leverages the research data to conduct an in-depth financial analysis, identify trends, and potential issues in reference to local payer environment—the company’s key specialty. Once the analysis is completed, AVEC reverts to the client and provides tailor-made solutions to balance the quality of patient care with the cost required to provide it. “One of the operational advantages that we bring from a performance standpoint is that we conduct a full analysis of the current facility, identify what needs to be accomplished and the timeframe allotted for it, and then we have the luxury of deploying an army of specialists to realize that effort from both a coding and RCM perspective,” points out Evensen, President & COO at AVEC. ”Based on this expertise, the firm’s certified personnel work as an extension of their clients’ existing business offices to help them achieve RCM improvements and efficiencies. Be it collection, billing, pre-registration authorization, or denial management, hospitals can easily tackle any critical RCM issue with AVEC’s Extended Business Office (EBO) solutions in place. This ultimately results in increased cash and reduced administrative costs. Of note, most healthcare providers in the rural setting do not have access to the competencies necessary for optimizing the RCM process. Additionally, a tight labor market and a complex assortment of payer models encumber small healthcare communities, simultaneously affecting them on a number of fronts such as revenue, cost, risk exposure, and outcome. In light of these challenges, AVEC also offers a Full Outsourced Model which includes a unique working partnership, an aligned financial relationship in conjunction with cutting-edge resources and technology positioning. As a strategic Revenue Cycle BPO partner, AVEC alleviates the financial pressure on modern hospitals by seamlessly integrating into their health information technology (HIT) systems and delivers cumulative, world-class outcomes. “Our expertise in multiple HIT systems and the payer models in the various states coupled with our low-cost, easy-to-use IT infrastructure amounts to a compelling argument for what we are doing,” Evensen remarks. Adding value to AVEC’s RCM solutions is its ICD-10 proficiency. Notably, the ICD-9 to ICD-10 transition is the largest change in medical coding that the U.S. witnessed in last few decades. There has been an incorporation of 55,000+ additional codes in move to ICD-10. In its initial stage, the transition created a heavy burden on the U.S. infrastructure as there were not enough coders to support hospitals across the nation. Given that a huge portion of its business was primarily focused on independent rural hospitals and Critical Access Hospitals (CAHs), AVEC took a strong position to aid these organizations and ensure ICD-10 compliance while reducing implementation costs. “We are strategic partners with our clients and being a good partner, we lowered our rates to help with ICD-10, not raise them to take advantage of the massive change in the industry,” notes Hughes. Another change that ensued from the ACA enactment was the variation in worker’s compensation. In this regard, the independent rural hospitals were at a huge risk of being caught flat-footed having the appropriate skill sets to implement the ACA program. AVEC promptly fills this gap by deploying credentialed ICD-10 coders and Medicaid/Medicare billers familiar with the ACA requirements at rural hospitals. Besides, the firm offers a light-touch SaaS cloud-based storage system as a backing for its outreach team. In this way, AVEC navigates clients through a reasonable and cost-effective approach to gear up for such revolutionary changes as the ACA. Finally, from a manpower perspective, many rural facilities do not have the requisite bandwidth to accomplish their objectives. This is where AVEC’s credentialed coders, auditors, billers and AR specialists come into play. This in turn, enables CAHs and rural health providers to allocate their limited resources to address mission-critical areas, eventually saving time and money. With extensive competence in ICD-10, AVEC’s coders are able to tackle any specialty, be it inpatient or outpatient coding. Derived from French, the name AVEC translates to ‘with,’ ‘near,’ or ‘close to’ which is exactly how AVEC Health Solutions intends to continue its relationship with their clients and partners. Steered by the qualified leadership of Hughes and Evensen, the multifaceted team of AVEC brings a novel perspective to the healthcare industry which turns into a special plus for the company. On top of that, working for a market that is so underserved, AVEC sees a tremendous growth opportunity and wants to leave no stone unturned in its quest to become the leader in the rural healthcare industry. “We know the triggers that are driving the market and will accordingly continue adding value to our customers,” Evensen concludes.